Title: The Long Awaited Release of Tears of War by A.D. Trosper Has Arrived! 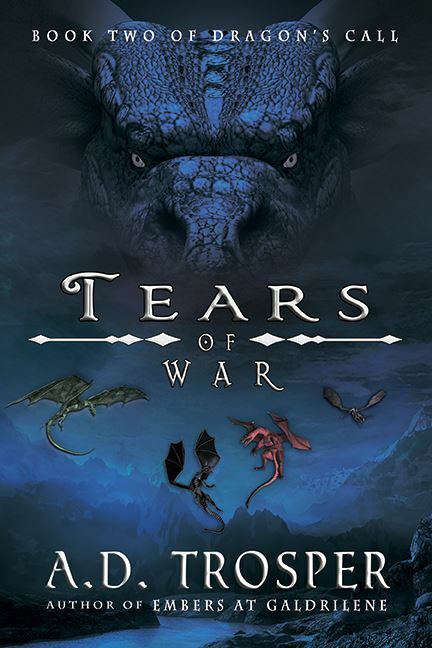 Finally, after a long wait by very patient (or not so patient) readers, Tears of War, the highly anticipated sequel to the award winning Embers at Galdrilene is here! 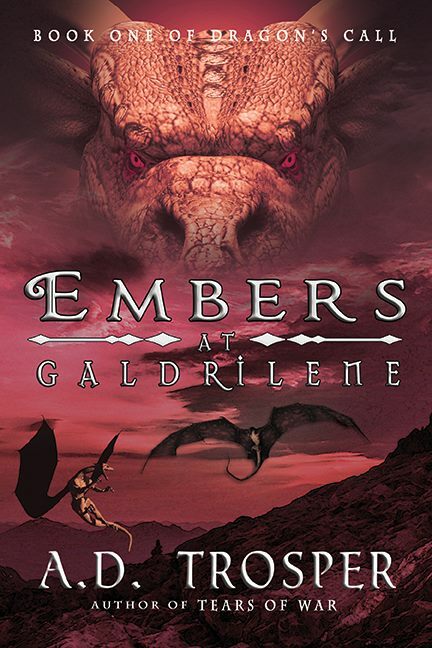 “Old things come again and new things surface.” Faced with a looming war, the riders have no choice but to leave the safety of Galdrilene and reach out to the nations for help. But the Shadow Riders too are reaching out and not all nations are opposed to their rule. New discoveries are made, old wounds are reopened and betrayal hides among welcoming smiles. As one nation begins to unravel it’s clear that some choices, even those made with the best of intentions, can have devastating consequences. Grab your copy in either e-book or paperback today! And don't forget to come on over to the Facebook release event between 7pm and 10pm CST for a chance to win a free e-book copy of Tears of War. Follow the link below to enter the Rafflecopter for a chance to win one of two sets of the first two books in the Dragon's Call series in paperback!